Mvine Limited announces today it has been named as one of the 100 selected companies by Tech London Advocates (TLA). Like the FinTech industry, London’s Creative Tech sector is one of the most advanced in the World. Creative Tech companies are using new technologies to rewrite the rules in their respective fields. The move comes as Mvine has been reinforcing its offering and its visibility in each of its chosen markets. 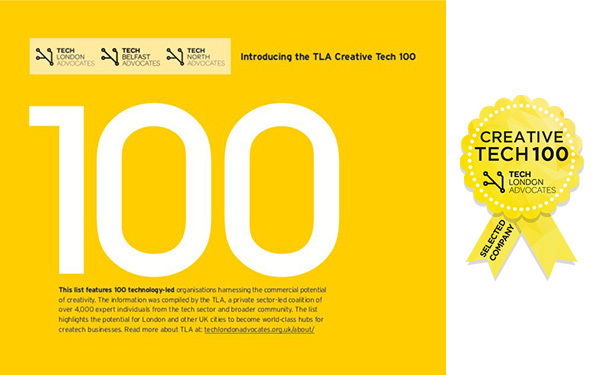 A copy of CreaTech Resources Book published in association with Tech London Advocates is available for download from Creative Industries Council website. Its aim is to showcase and support emerging CreativeTech startups/scaleups via pitchcamps, mentoring and promotion to demonstrate the dynamism and momentum of the sector. It works hard to leverage examples of successful companies to craft a creative tech sector ‘voice’ within Government/GLA re importance of Creative Tech in London.